There aren’t too many things I enjoy doing more than grillin’ outside with friends. I take great pride in my BBQ skills. More importantly I enjoy the look of satisfaction on people’s faces after each bite of my mouthwatering hamburgers. So now that we have all the rain far and gone it is time to turn this nation into a grillin’ nation!! I usually buy my ground beef fresh from the local butcher right down the street. I suggest you do the same. Store bought ground beef can be suspect. You never know how long it has been sitting in the fridge. Also, try locating an organic food store for some free-range meat. Alright, to begin let me tell you that I always try to have at least .5lb of meat per person. So given your expected guest list, you can do the math. I suggest you never stray far from the essential ingredients, those ingredients are what make the hamburger truly amazing. The add-ons, well those are just a few suggestions on my part, you can clearly add whatever you want. But, make sure to remember that you do not want to over do it with too many flavors. The idea is to bring out the flavor of the meat, which is why the essential ingredients I have included are so valuable. 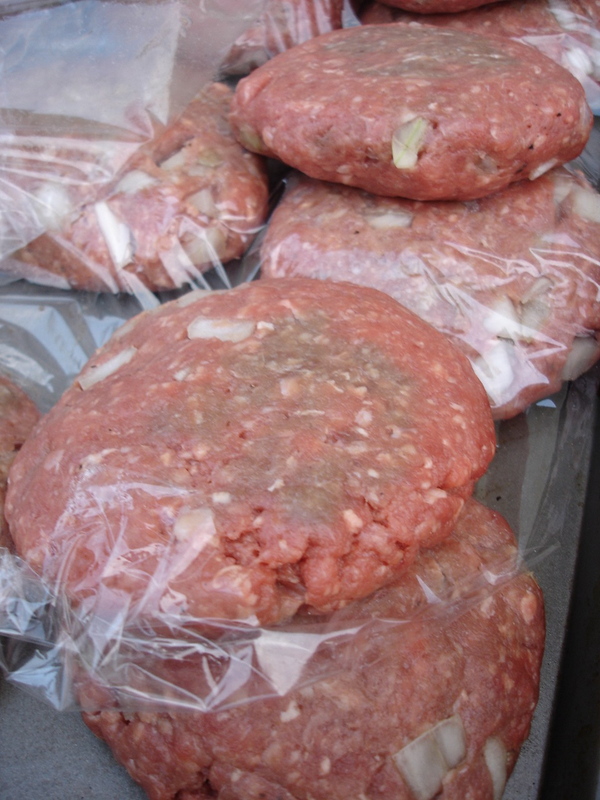 Nothing accentuates the flavor of meat more than minced onions mixed into each patty. Once, you have selected all of your ingredients, just mix them in with the ground beef and start building your burgers! Don’t forget to accommodate your non-meat eaters. 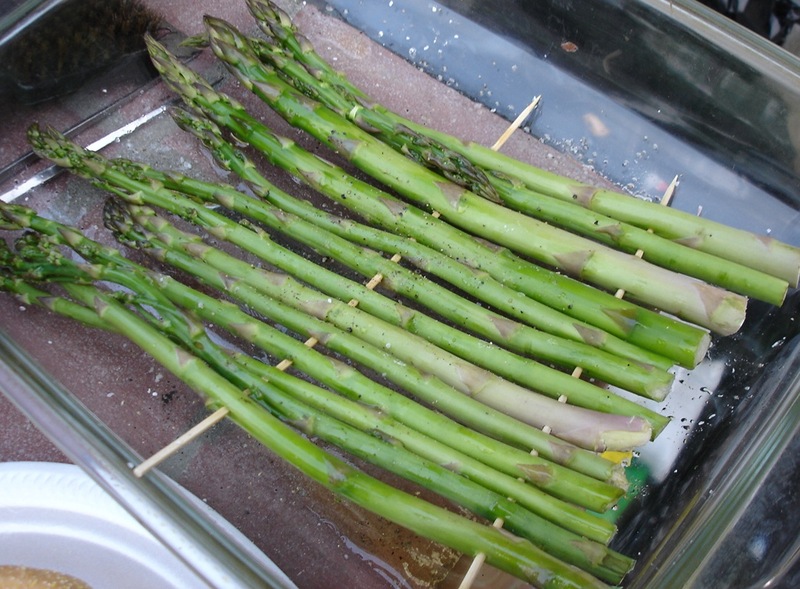 Try to grill veggies (with olive oil) for them or throw on a veggie patty. They will be very appreciative. These were just a few of my tips for delicious hamburger grillin’! Top the burgers with whatever you like. I prefer bbq sauce/homemade chipotle sauce, avocado, tomato, lettuce, and cheese. Yummerz! This entry was posted on June 6, 2007 at 2:36 pm and is filed under *jon sublet, Barbeque. You can follow any responses to this entry through the RSS 2.0 feed. You can leave a response, or trackback from your own site. I will say, with absolute certainty, that Sepi’s burgers are THA BOMB. On this occasion, I gobbled down three– I kept going back into the kitchen and eating them silently in the corner so no one could harrass me about taking the last one. Also, Amira’s chipotle sauce and mushrooms– exquisite! This summer, you will find me at every one of these bbqs. Sep- I like mine medium rare! what’s even more funny is that kayoko was cooking her own patty’s on the stove! you are more than welcome to eat my burgers anytime!